Right now, it’s looking like 2018 will be a huge year for Aquaman. I mean, not only does he have his first solo movie arriving in theaters this December – which is getting some very positive buzz via its first test screenings – but his comics have also seen some huge shakeups in recent memory. As such, next week’s issue may prove to be a decent jumping on point for newbies. 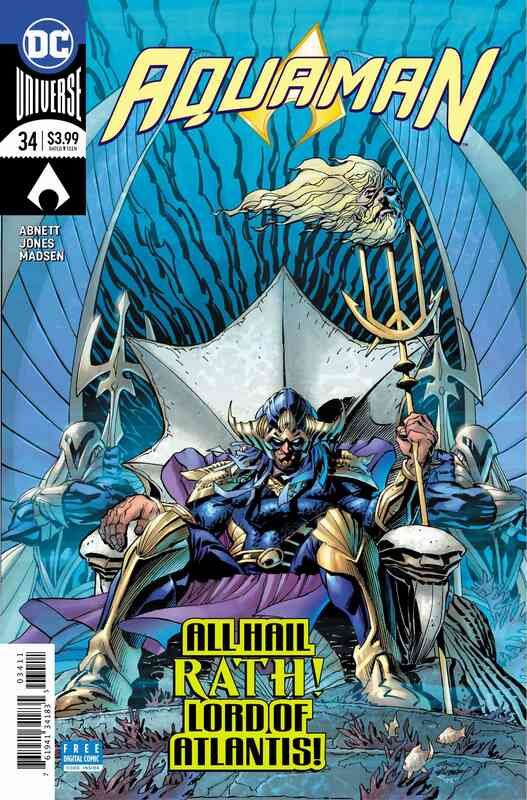 We say that because while the uninitiated may be unfamiliar with King Rath, Aquaman #34 aims to spill the beans regarding his backstory. 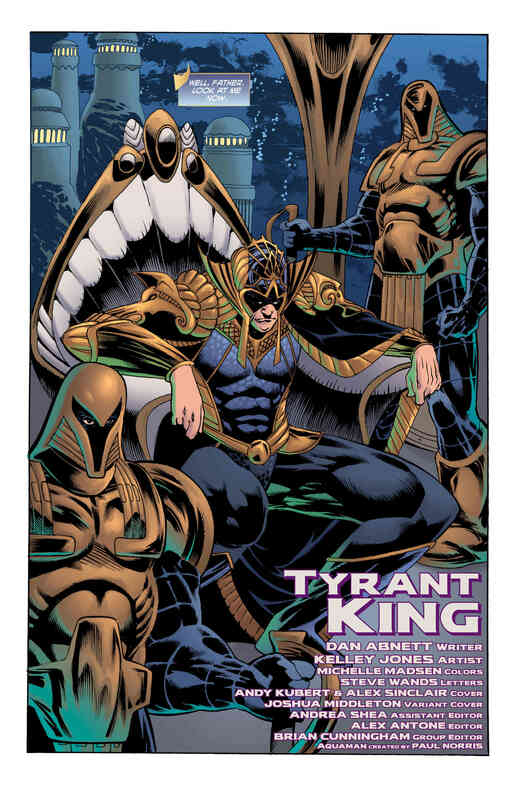 Given that, said offering seems to be as good of a primer on the man currently giving Arthur Curry headaches as any. Still, it’s recommended that you also bone up by picking up a few key trade paperbacks, but that’s a discussion for another day. Regardless of whether you’ve been on board for the past few years or are just trying out this series, we can probably all agree that the artwork is rather striking and inviting. 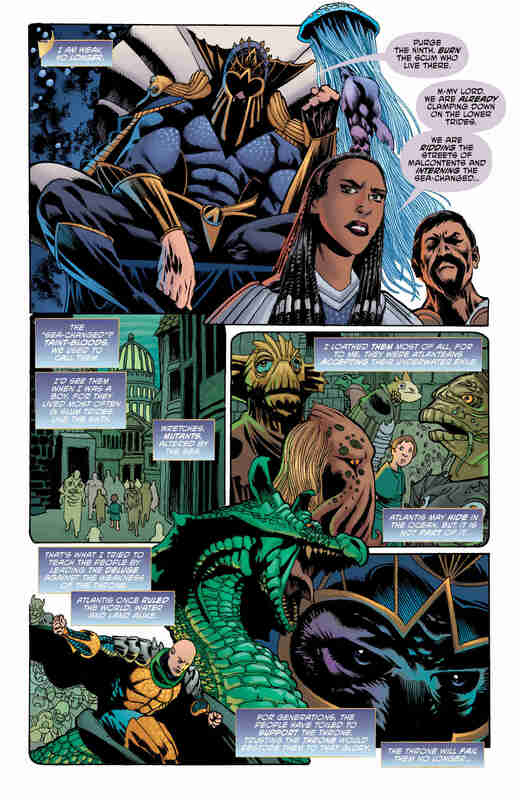 Already, the likes of Brad Walker and Stjepan Sejic have made their mark on Aquaman‘s Rebirth run, but now it’s Kelley Jones who’s stepping up to the plate. 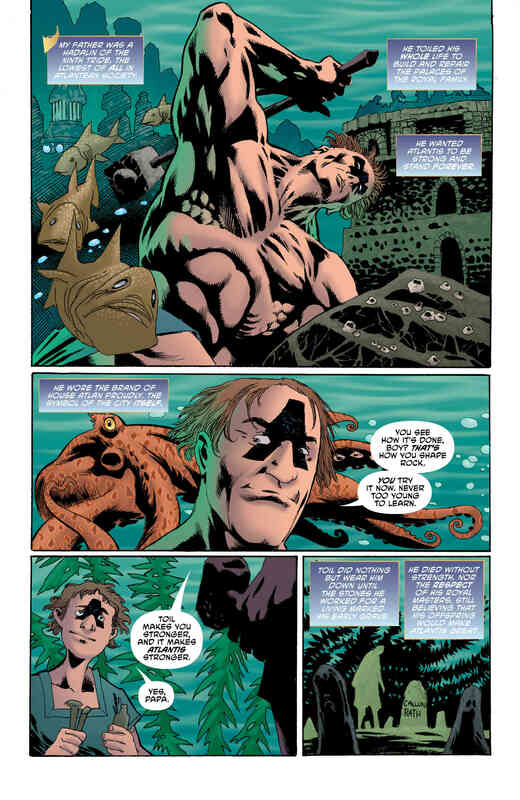 Normally, characters such as Batman or Swamp Thing come to mind when I think of Jones, but his distinctive style actually lends itself well to Aquaman’s almost mythic corner of the DC Universe. 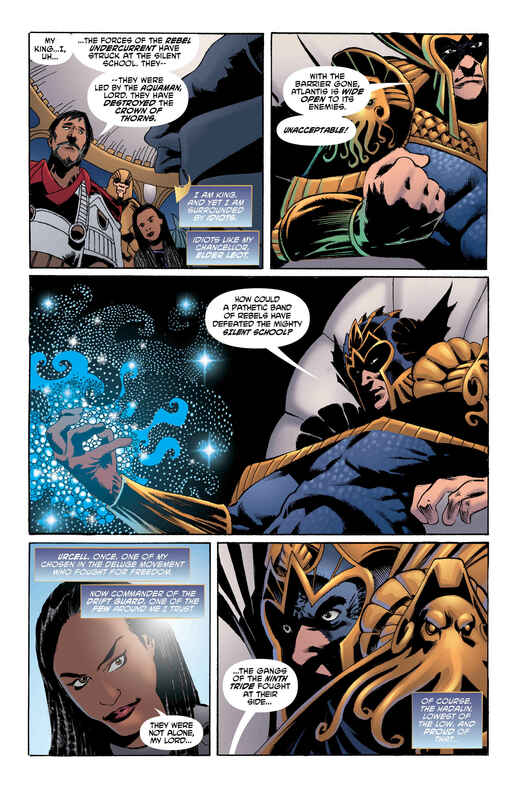 Right now, he’s not solicited for any upcoming issues, but I, for one, wouldn’t complain if he were to book a return trip to Atlantis. 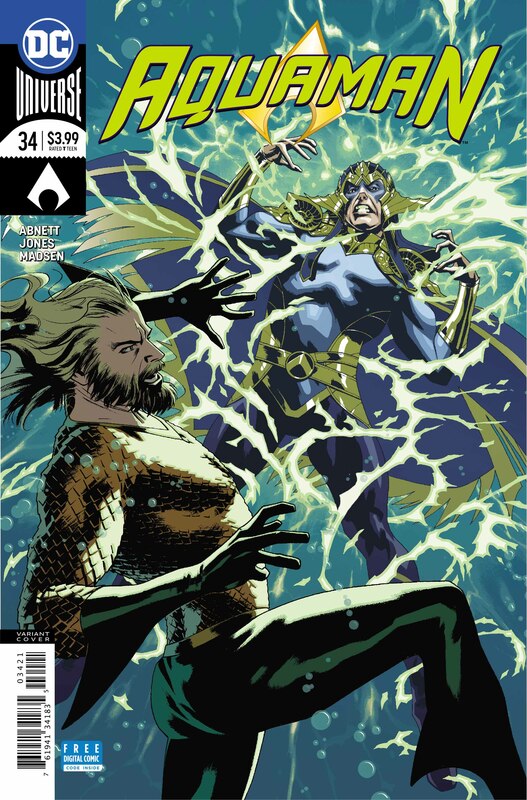 Aquaman #34 arrives in comic shops next Wednesday, March 21.